David Mitchell is Professor of English and Sharon L. Snyder is a faculty member at George Washington University. "Through analyses of films and novels featuring individuals with disabilities, the authors establish the potential for persons with disabilities to rupture normative identities of belonging…Recommended." "...informative and a great call-to-arms for Disability Studies, the academic Humanities, and the disability rights movement." "Drawing on a wealth of knowledge that extends from graduate student bloggers, to his own family, to his own extensive and deep reading in a number of different scholarly disciplines, as well as his twenty-five years working directly in disability activism and the disability arts and culture movements, Mitchell offers readers another way of thinking about disabled subjectivities." 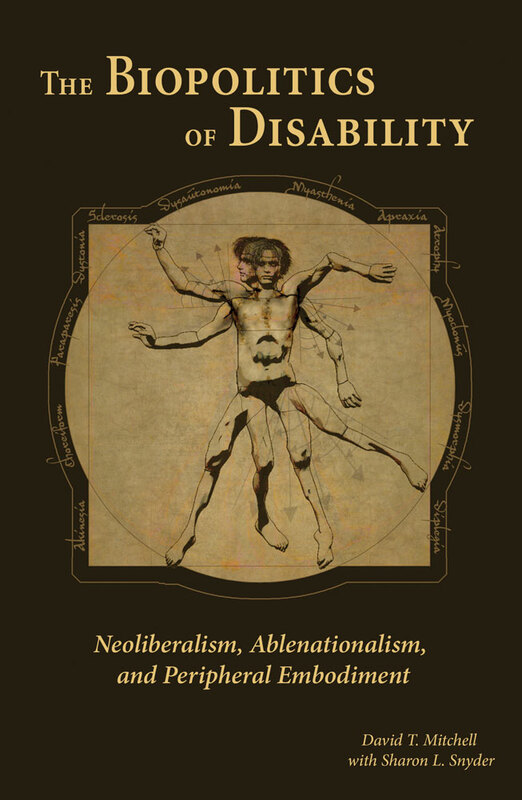 "Most useful in offering a conceptual approach to the materiality and creative potential of disability in today’s neoliberal world that cannot be achieved with the social and affirmative models of disability."